Embroidered -Applique NOEL velvet Christmas stockings green cuff. 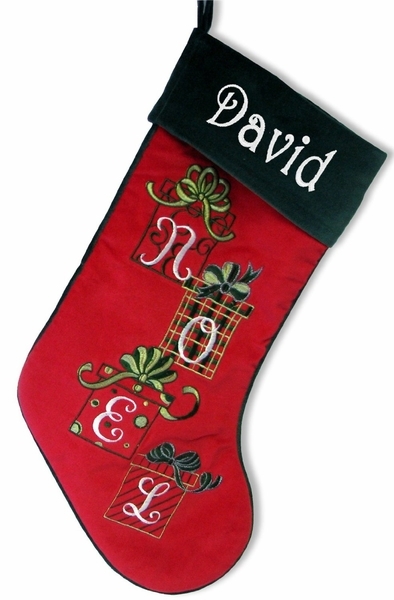 The Noel name is in little christmas presents with a velvet back drop and a green velvet cuff. Measured 19" size measured from the top left hand corner diagonally to the tip of the toe. 7 inches wide at the top.